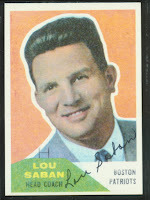 It is not everyday that a professional football team drafts a future Hall of Famer. Therefore selecting two future Hall of Famers in the same draft is almost unheard of. 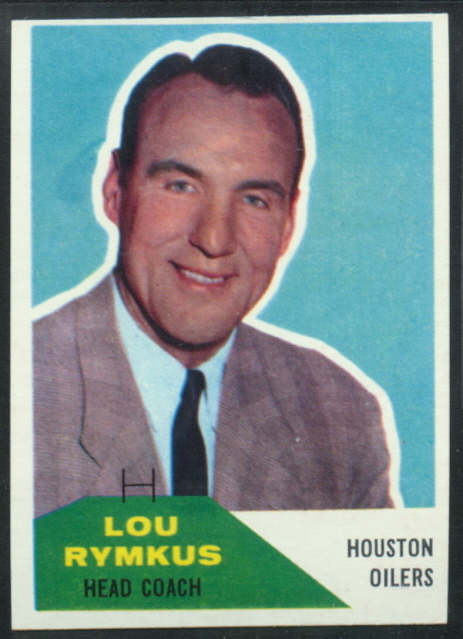 But that is exactly what the Dallas Texans managed to do when they selected Bobby Bell and Buck Buchanan in the 1963 AFL draft. 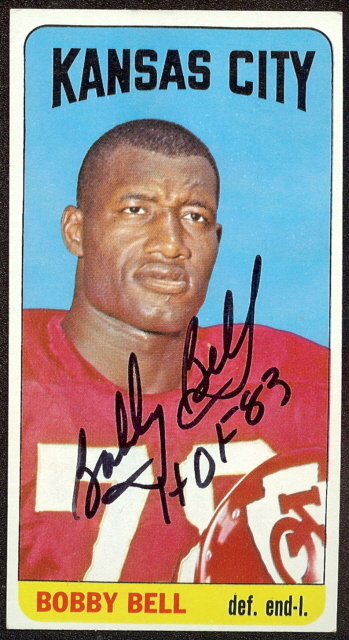 Although Bobby Bell was an all-state high school quarterback at Cleveland High School in Shelby, North Carolina, he played several positions at the University of Minnesota before settling in at defensive end where he twice earned All-America honors and won the 1962 Outland Trophy as the nation’s top interior lineman. 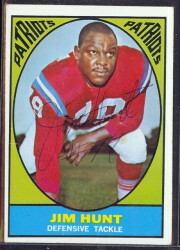 Junious “Buck” Buchanan initially played football as a means to stay in shape outside of the basketball season. At 6’7”, Buchanan was a standout basketball player at A.H. Parker High School in Birmingham, Alabama, but upon graduation, he had no prospects to continue playing either sport. Enter legendary Grambling University head coach, Eddie Robinson, who decided to take a chance on Buchanan after his uncle had written Robinson on behalf of his nephew. The gamble paid off, as Buchanan earned NAIA All-American honors while at Grambling. 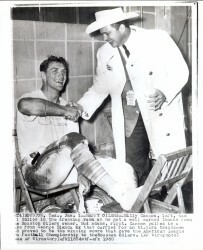 Bell and Buchanan were selected by the then-Dallas Texans in the 1963 AFL draft. 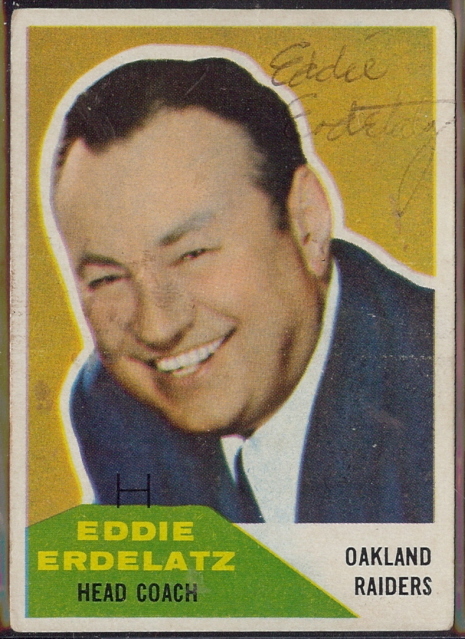 They did not stay long in Texas, however, as the franchise packed up and moved to Kansas City, changing their name to “Chiefs” along the way. 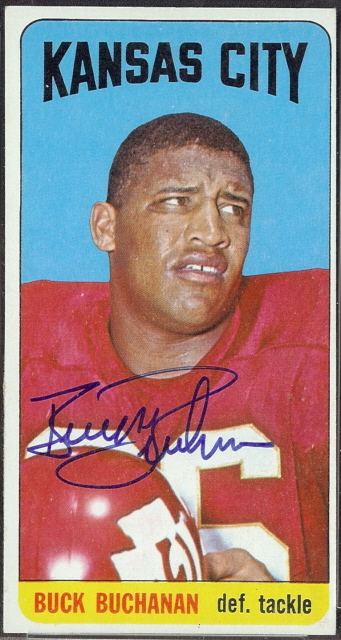 The rookies both took positions on the Chiefs’ defensive line, Buck at tackle and Bobby at end. 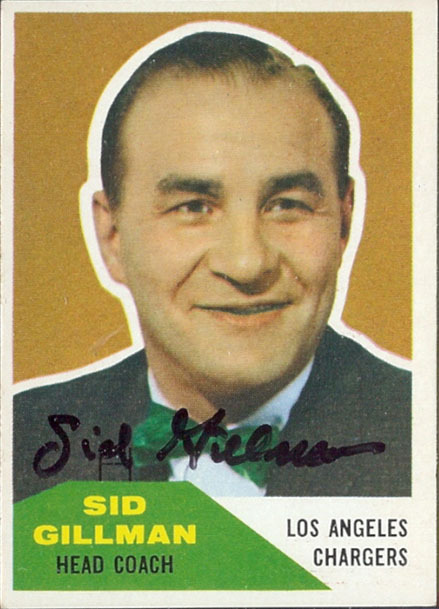 Head coach Hank Stram later moved Bell to outside linebacker, where he became a stalwart on the Chiefs’ defense. Success came quickly and frequently to the duo. From his right defensive tackle position, Buchanan terrorized opposing offenses. 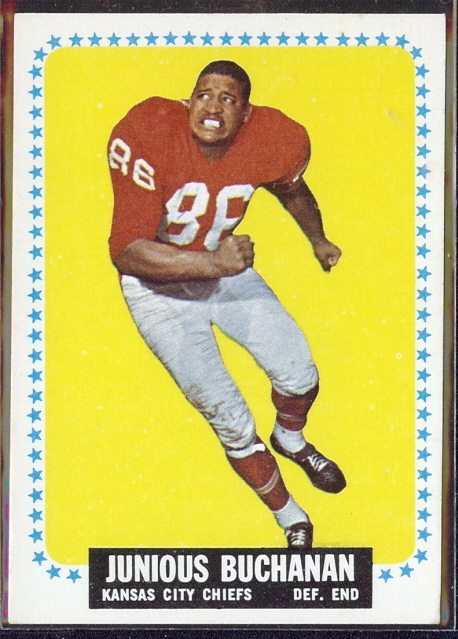 At 6’7” and 287 lbs., he was one of pro football’s first truly big men, and had the accompanying strength to muscle his way to ball carriers. 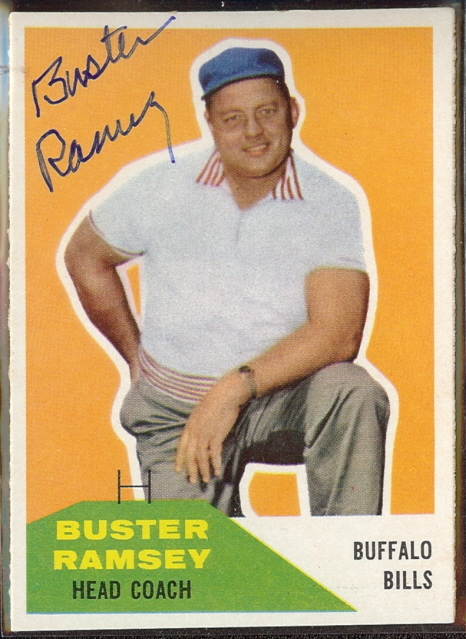 He was also blessed with surprising speed for a man of his size, and could run the 40-yard dash in 4.9 seconds. The sum total of his qualities was devastating to opponents. 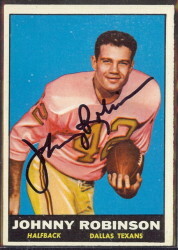 Buchanan earned his first trip to the AFL All-Star Game in 1964, and became a regular, playing every year through the AFL-NFL merger in 1970. 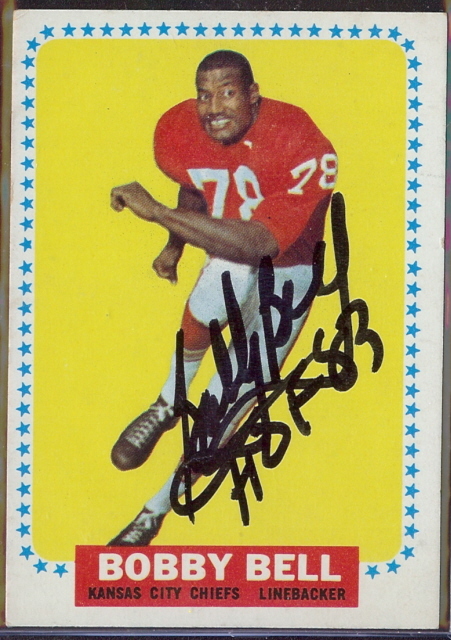 He played in the 1970 & 1971 NFL Pro Bowls in his years post-merger. 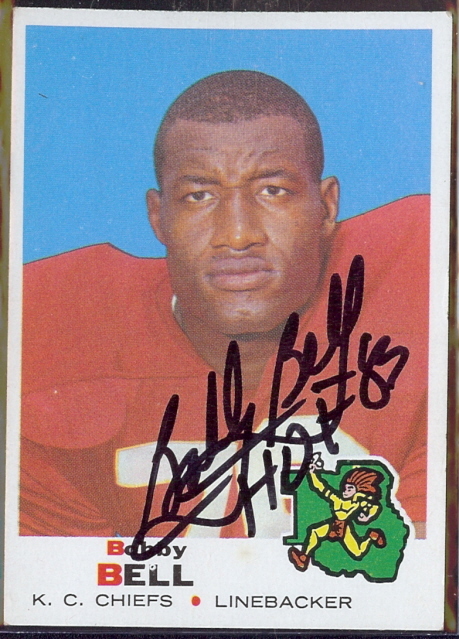 At 6’4” and 230-lbs., Bobby Bell was not only big, but also fast. 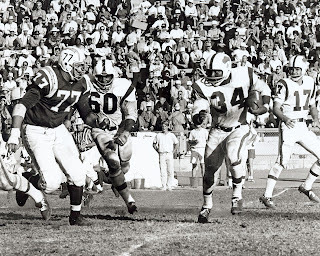 Able to run a 40-yard dash in 4.5 seconds, and known as one of the finest open-field tacklers to play the game, Bell was the ideal outside linebacker. 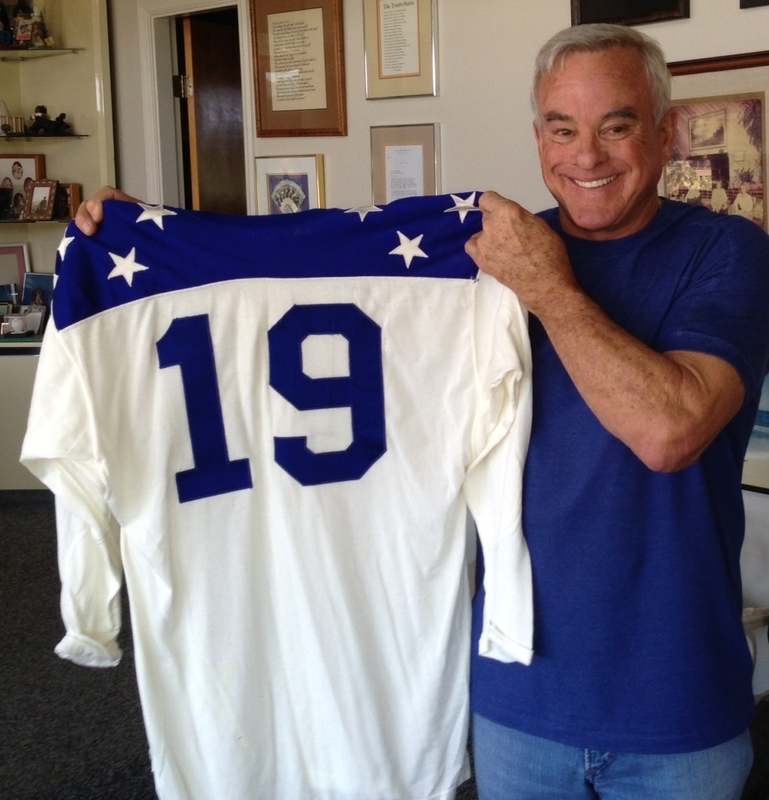 He joined Buchanan, playing in the AFL All-Star Games from 1964-1969, and played in NFL Pro Bowl from 1970-1972. 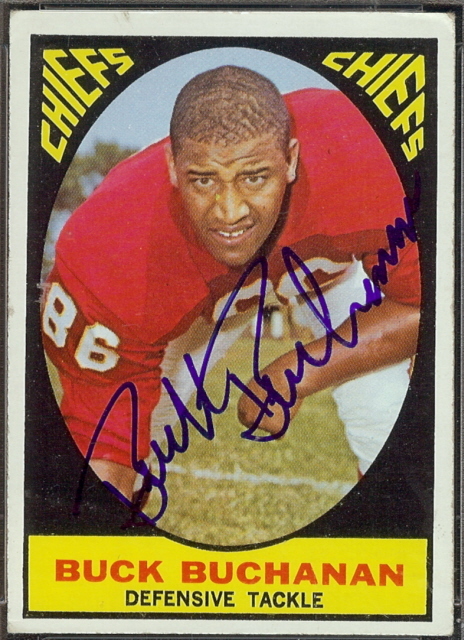 With such dominating players on their defense, it is little surprise that the Chiefs enjoyed success with Buck and Bobby in the line-up. 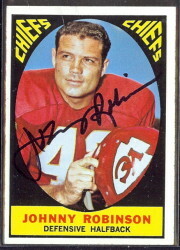 After winning the 1966 AFL championship, the Chiefs played the Green Bay Packers in Super Bowl I. 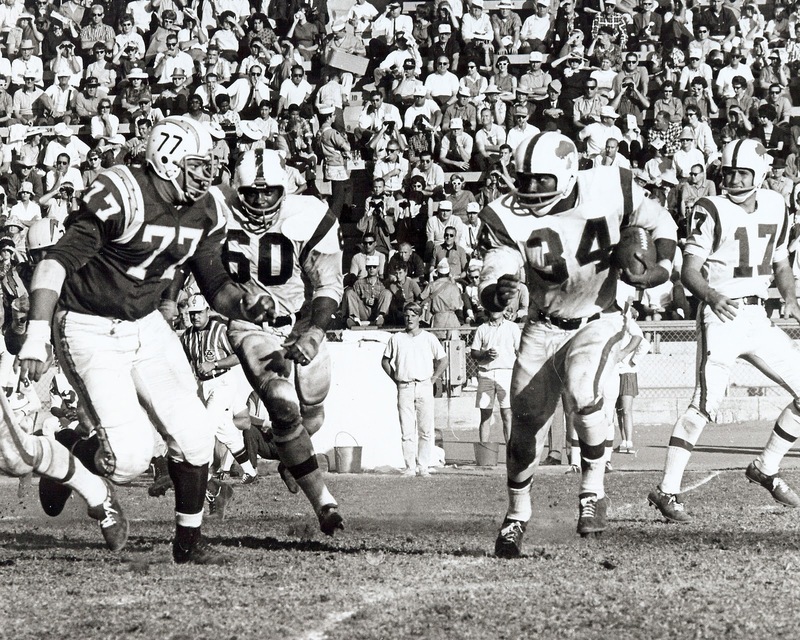 The Packers won the first super bowl title, but a few years later the Chiefs returned to the big game and defeated the Minnesota Vikings in Super Bowl IV. 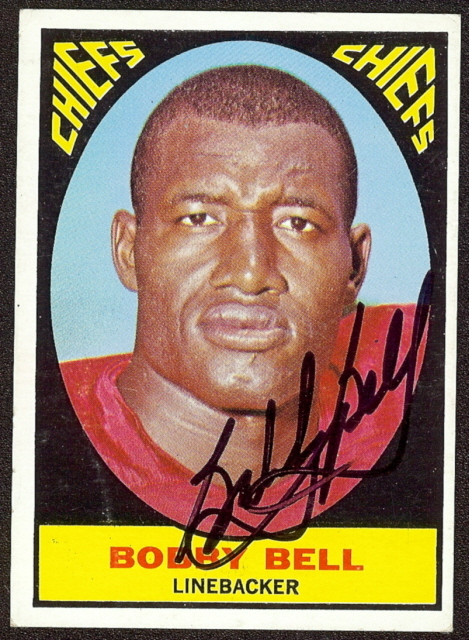 Bobby Bell retired from the game in 1974, and Big Buck stepped away the following year. 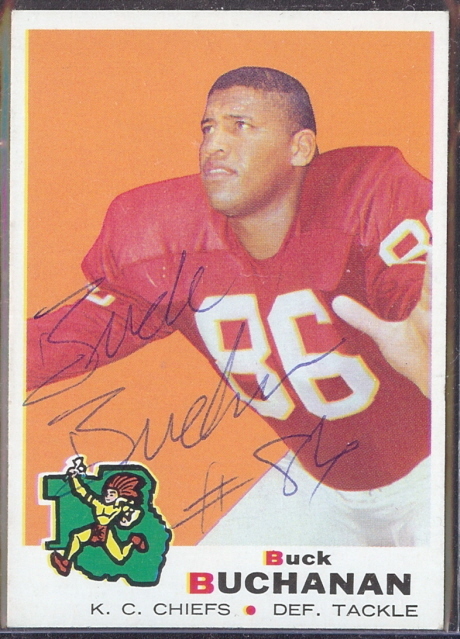 Both players had their numbers retired by the Kansas City Chiefs, and later earned induction into the Pro Football Hall of Fame, Bell in 1983 and Buchanan in 1990. 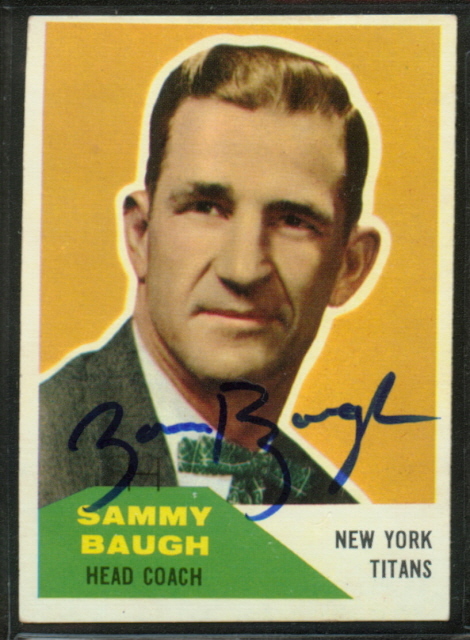 Sadly, Buchanan was not able to fully enjoy his time as a Hall of Fame member. 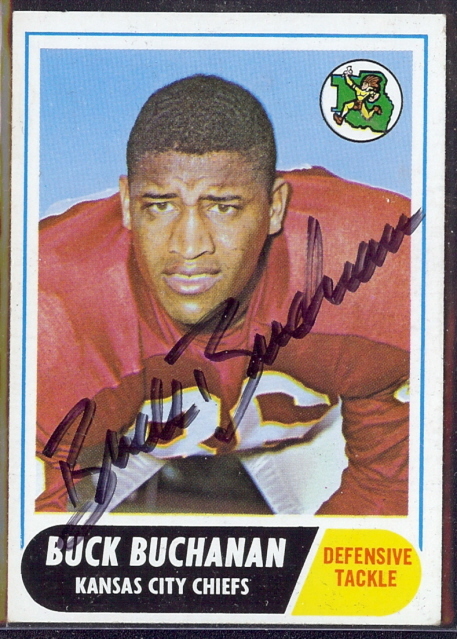 Diagnosed with lung cancer a week before his induction, Buck Buchanan passed away on July 16, 1992, at the age of 51. 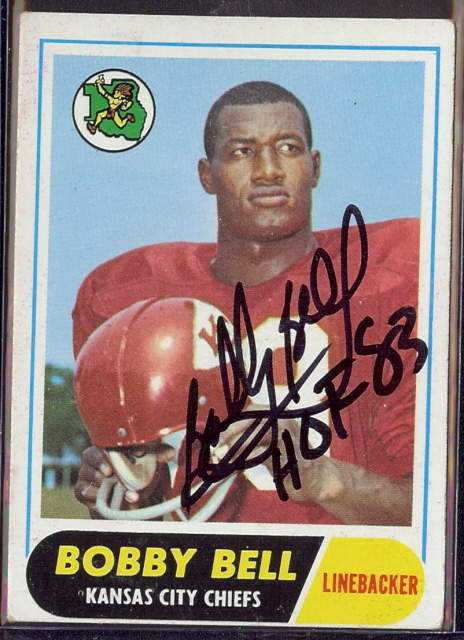 Today Bobby Bell is an active member of the Chiefs’ alumni, spreading good will among football fans of all ages. I awoke this morning, went outside to pick up the newspaper and fired up my Blackberry. 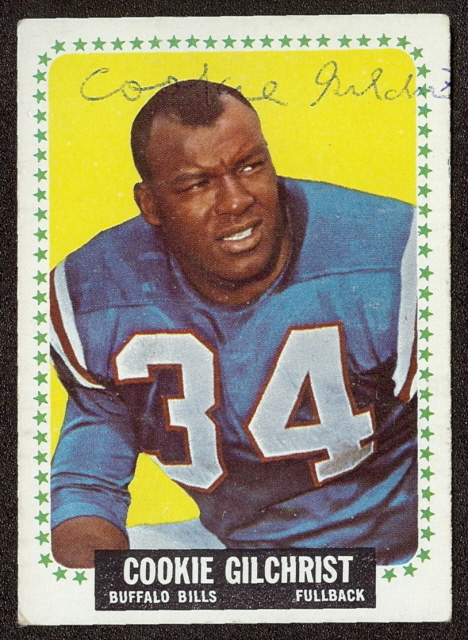 I quickly scrolled through the messages, stopping one one that informed me of the passing of American Football League legend, Cookie Gilchrist. Gilchrist, aged 75 years, had been battling cancer in recent years, and passed in an assisted living facility this morning.